New conservation efforts in Australia are using recordings to bring seabirds back to a predator free island that is now safe for nesting. On islands throughout the world, seabird nesting sites have been infiltrated by invasive feral cats, foxes, rats, and rabbits because of human transportation. Invasive predators have the potential to interfere with seabird reproduction and can even deter seabirds from nesting on their usual islands. 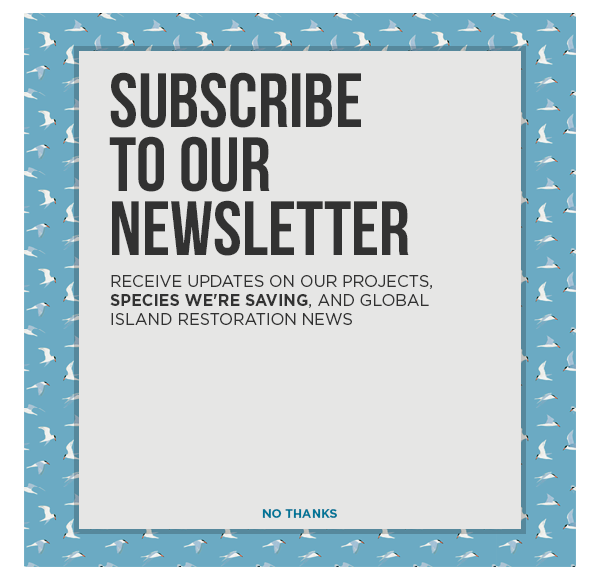 On Broughton Island, Australian conservationists have successfully removed invasive predators, thereby restoring safety in the seabird nesting habitat. But now that seabirds have learned to stay away from this formerly dangerous nesting site, how can they be convinced to come back? We know the birds are nesting nearby. We’ve got confirmed records of Gould’s Petrel on Broughton Island, and we’ve got confirmed records of White-faced Storm Petrels nearby. Conservationists are hopeful that the project will attract the Gould’s Petrel and White-faced Storm Petrel to the islands.